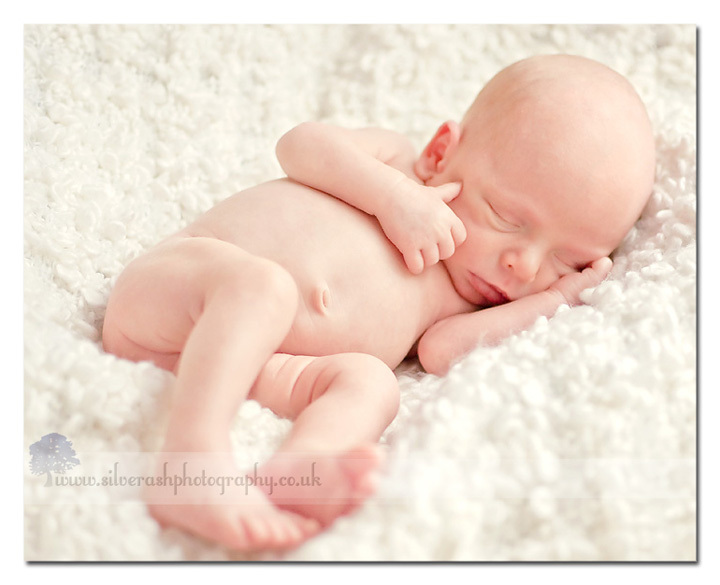 Last weekend, I had the absolute privilege of photographing newborn baby Alexander. He was born at 35 weeks to Natasha and Joe, after an extremely stressful pregnancy. He was one day short of his due date when I met him and his family. 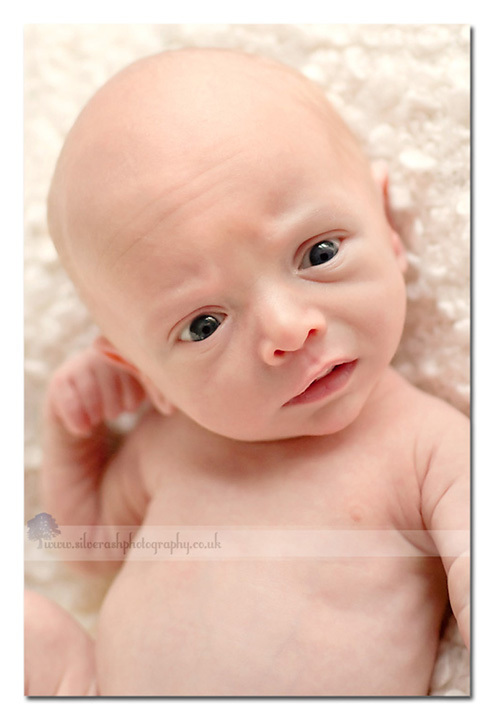 Alexander is the first newborn I have photographed since I decided to turn professional so he is extra special. I used natural light through a window. Unfortunately the weather was wet and dull, but I managed to make the best of the available light. Alexander is very sweet, and pulled the cutest expressions! For a baby so tiny, he has plenty of personality and it was lovely to meet him. 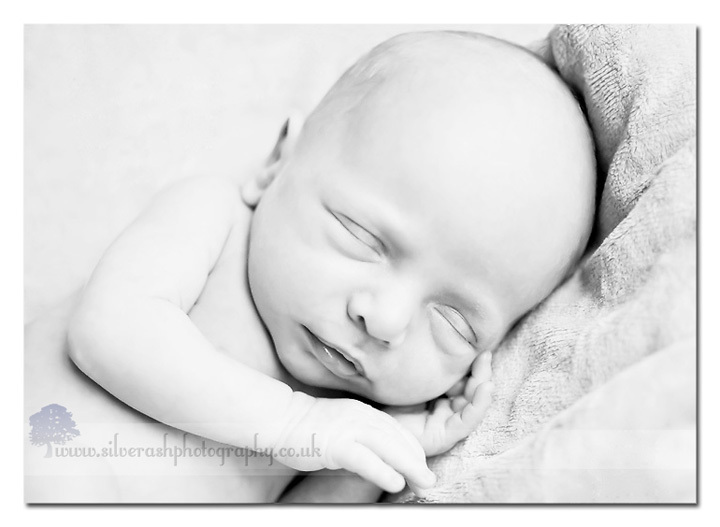 He didn’t sleep a lot, but with the help of his mum, I managed to get a few shots of him sleeping. I really enjoyed this session – it was wonderful to meet Natasha at last, and Alexander is absolutely gorgeous. Thank you very much to Natasha and Joe for letting me borrow your sweet little boy! There are plenty more to come, however due to my workload (and marathon training) over these last and next few weeks, I am only doing ten at a time from each session and will return to the rest when it is quieter in April. 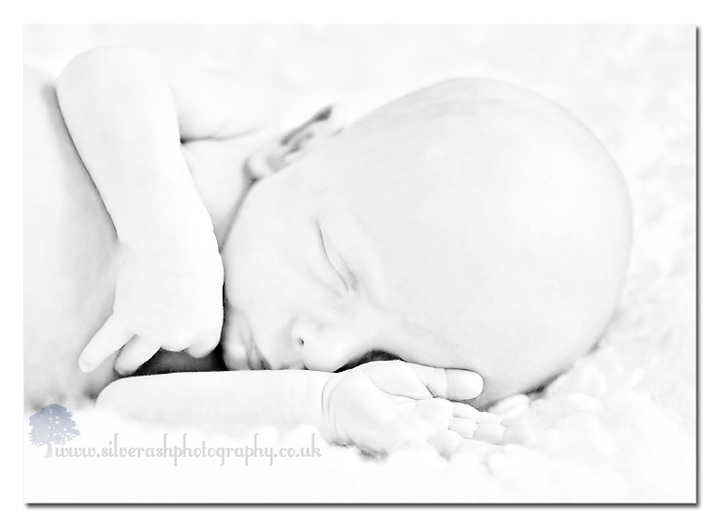 I hopefully have another newborn to do shortly, and if anyone knows of any other newborns or about-to-be newborns, I am still seeking them (and maternity) for free portfolio-building sessions – these are the only new sessions I am booking for free at this stage. To come in the next few days – portraits of Jo in the studio.. the first model for my new lights! 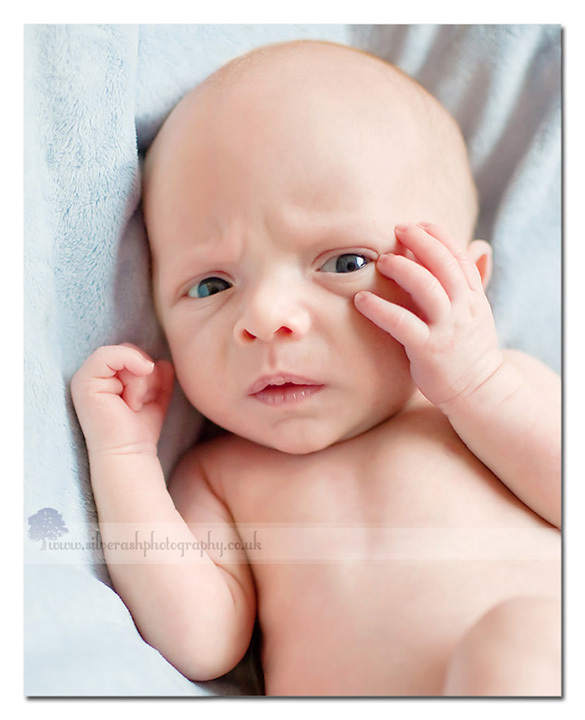 This entry was posted in Natural light, Newborns and tagged newborn photography, premature baby photography. Bookmark the permalink. Follow any comments here with the RSS feed for this post. Post a comment or leave a trackback: Trackback URL. We love these photos of Alexander so much. It’s funny now that he is so big and bouncy I can hardly remember when he was such a tiny, sleepy, skinny thing so it is wonderful to have this reminder. I would never have been able to tell it was your first newborn shoot – you were entirely professional, putting both him and me at our ease. We look forwawrd to using you to do another session once he is sitting up by himself. Thank you very much! It was a real pleasure photographing Alexander – I am so glad you love the photos. He has grown so big now and like you say it’s hard to imagine he’s the same baby! 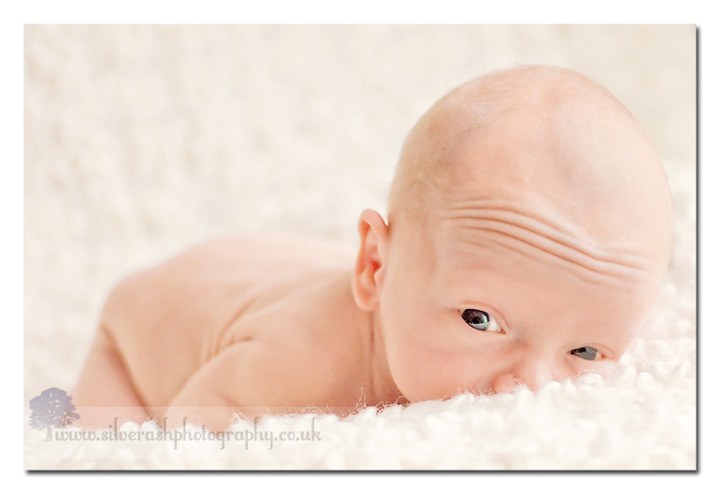 Very much looking forward to photographing him again when he’s bigger – he is such a sweetie!